Perfect for Valentine's Day! These stacked fancy ribbon bows feature pink satin ribbon printed with tiny iridescent white hearts, iridescent ribbon, and a pink satin ribbon rose. Set of 2. 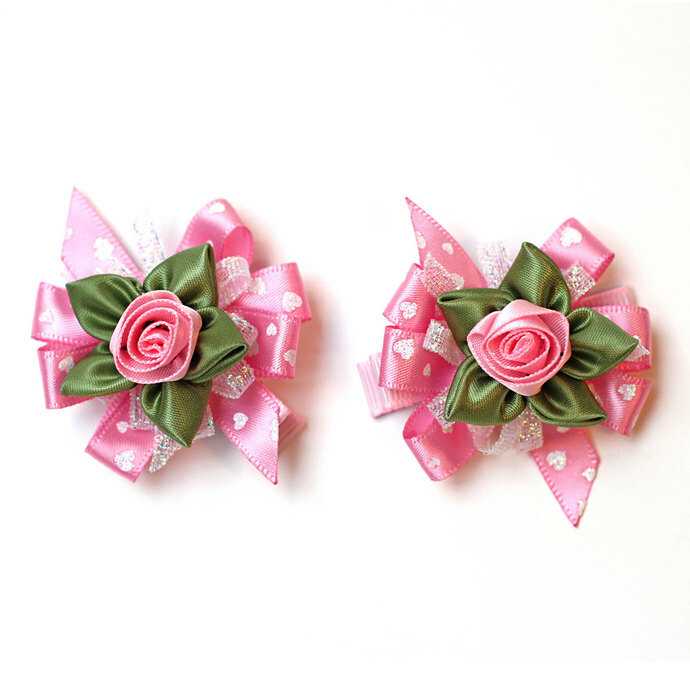 These small 2" (5.08 cm) wide fancy boutique hair bows are made of 0.375" (0.95 cm) wide satin ribbon and 0.125" (0.3175 cm) wide iridescent ribbon. 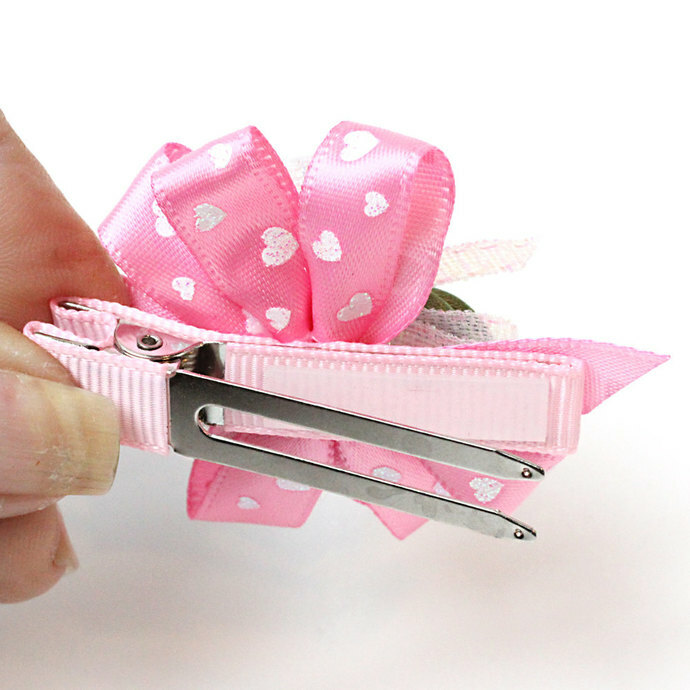 The ends of the ribbons have been heat sealed to prevent fraying. 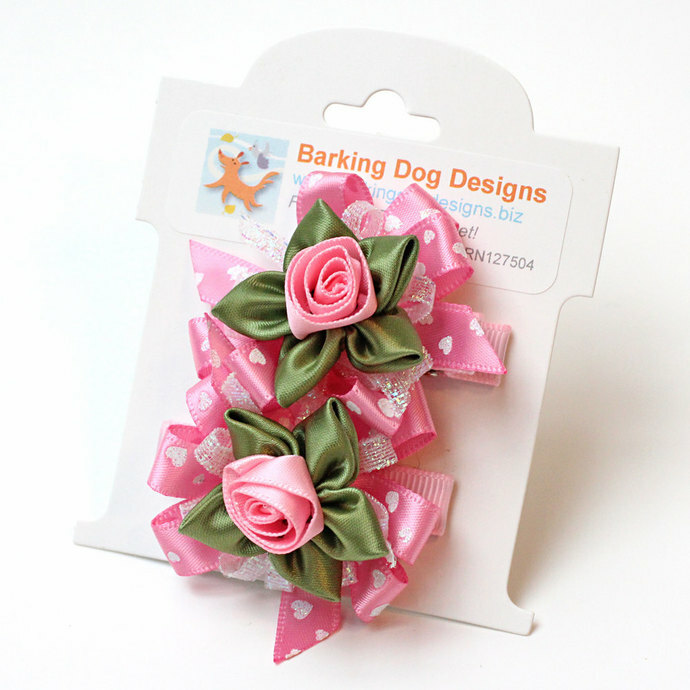 The centers of each clip are accented with a pretty pink satin ribbon rose buds and sage green satin leaves placed in a five-point star formation. 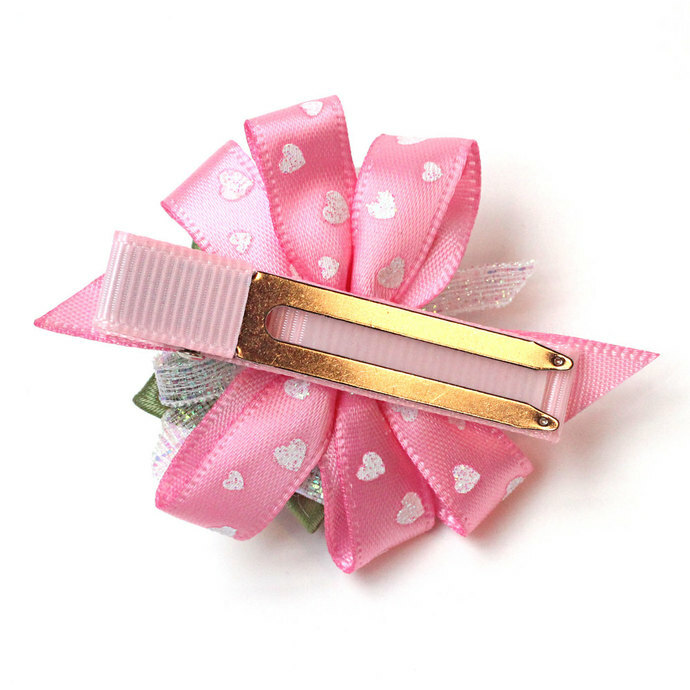 The two-pronged, CPSIA compliant, alligator clips are partially lined with coordinating pink grosgrain ribbon and furnished with non-slip grips. Carded -- card holds two (2) hair clips. Note: The product pictures are stock photos. The items you receive may not be the exact ones pictured but will be very similar. 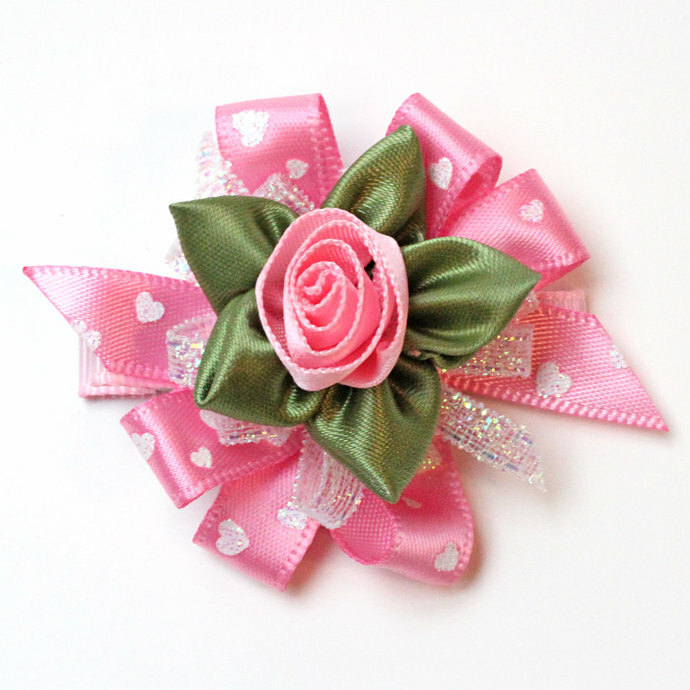 As these bows are individually handmade, there will be some slight variation from piece to piece.